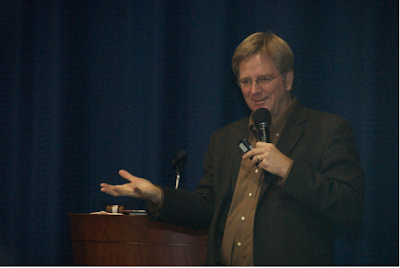 Rick Steves, the popular travel host who heads up a multimedia empire, will be able to add a Smithsonian magazine to his list of accomplishments. Smithsonian Presents: Travels with Rick Steves will be a 100,000-circulation newsstand special written completely by Steves and edited by the staff of Smithsonian magazine. Slated for an early May 2010 release, the magazine could be just the beginning of a collaboration between Steves and Smithsonian, according to Folio:. A core idea behind much of Steves' approach to international travel is that you should go and learn about the places and the people; learn it on their terms, don't go and expect things to be like your home in Santa Barbara. Hence the title of his most recent book and blog, Travel as a Political Act.